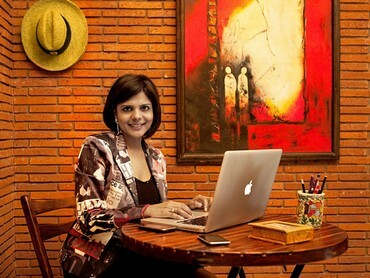 Meet Stuti Jalan who hails from an industrial town in Orissa and runs a successful public relations company today. 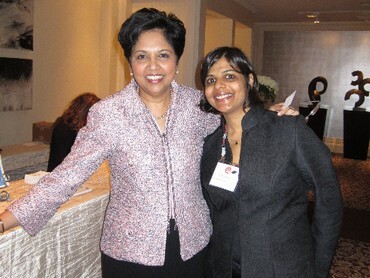 In May this year, Stuti Jalan was part of the Fortune and US State Department Global Women's Mentoring Program 2011 where she rubbed shoulders with the likes of Chelsea Clinton, Marissa Mayer, Barbara Walters and Nicole Kidman among others. 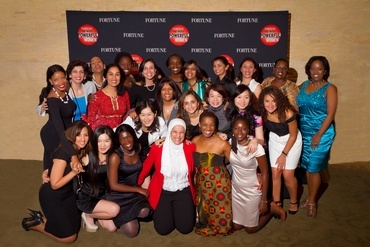 Earlier this month, Jalan participated in the Fortune Most Powerful Women Summit in California an exclusive 'by invitation only' event that saw women CEOs of some of the most prominent fortune 500 companies sharing their learnings. 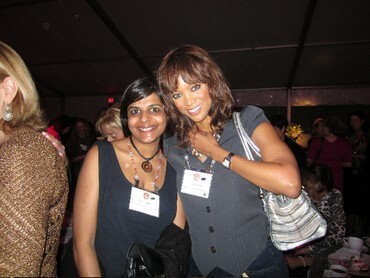 Among those invited were Indra Nooyi of PepsiCo, Ellen Kullman of DuPont and Pat Woertz of ADM and the likes of Tyra Banks Arianna Huffington economist and author and Sheryl Sandberg of Facebook. Jalan runs Crosshairs Communications, a public relations company that counts amongst its clients some of the top lifestyle brands in the country. 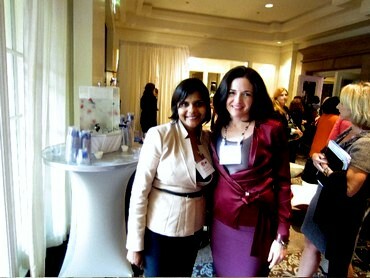 She was invited for this summit after she was selected for the Fortune and US State Department Global Women's Mentoring Program in 2011. For the 30-year-old Jalan who started her office out of a single desk and a computer she shared with two of her first colleagues in Mumbai, this has been an exceptionally long journey. But Stuti Jalan's story doesn't start in Mumbai. It begins in Rajgangpur, a small industrial town in Orissa over 400km away from the state's capital, Bhubaneswar. 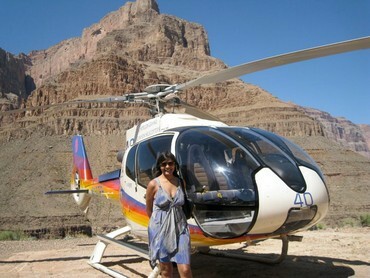 Stuti Jalan shares her journey. I was born in an orthodox Marwari family in Rajgangpur in Orissa. The closest 'big town' was 40 km away -- Rourkela that houses one of India's largest steel plants. Good education in Rajgangpur was a distant reality then. To a certain extent it still is. Thankfully my parents saw this and sent me to the Maharani Gayatri Devi School in Jaipur where my sister was already a student," Jalan recollects. Boarding school had a positive impact on Jalan. It made her all that she couldn't have ever been in the Rajgangpur -- independent, outgoing and bold. "I wouldn't have been able to see the world the way I did had I not stepped out of my home town," she says. After school, she joined Lady Sri Ram College in New Delhi during which her sister had already been married -- having opted out of her graduation so she could follow the path her parents charted out for her. Now it was the younger sister's turn. The parents had started hunting for a groom and each time she went home for vacations, the topic hung heavy in the air. It was assumed that education was something that I would be pursuing till the time I got married," Jalan says. "But I did not want to spend the rest of my life under a ghoonghat in some small town in India." So the young Jalan started exploring courses she could take up. After college hours, she took to learning Spanish and meanwhile started researching for a course in media and communications. Symbiosis Institute in Pune figured in her search. After having cleared her written exams, Jalan had to go to Pune for the final interview. "My father was not exactly happy with the idea of me going to Pune. So I told him that I'd already been admitted to the course and the interview was a formality that needed to be completed." The interview was part of the admission process, something that would make or break a candidate's chance of getting admission. "I tried to convince him at first," she says. But when he didn't seem to relent she simply told him that she'd saved enough money to go to Pune. "One of the interviewers told me why I was even bothering to apply because I'd get married mid term like all Marwari girls do," she recollects. Any other student in her place would've been miffed at being stereotyped. But Jalan knew she couldn't afford to, definitely not now. "I wanted to prove him wrong. I told him it would be unfair if I didn't get the opportunity. It was some task trying to convince the panel. But I guess they realised I was serious." At the interview, Jalan made another promise -- that one day she'd prove him wrong by starting her own company. By the time she was in her second year of the Master's in Communication course, Stuti Jalan knew she wanted get into public relations. Eventually she majored in it and joined Ogilvy. "I felt Ogilvy wasn't the right place for me. I had a lot of ideas that couldn't be implemented that would leave me frustrated. Prahlad Kakkar was my mentor and a family friend and it was he who suggested I quit start off on my own if I was unhappy working with someone." So a year into her first job, Stuti Jalan quit and launched her own company -- Crosshairs. "Prahlad and I felt that most public relations agencies lack a total communication package and that PR couldn't be restricted due to lack of ideation. At Crosshairs we come up with innovative concepts and creative ways to communicate a brand's philosophy." At the beginning Stuti Jalan worked out of Prahlad Kakkar's office. "We used to pay Prahlad a nominal fee as rent and use a table space, a computer and a telephone. But on the flipside, everything else would be at an arms length because we had access to the rest of the infrastructure -- be it a photocopying machine or fax or even a coffee machine. Also the staff at his office was extremely helpful. We were never made to feel like outsiders." For almost 10 months Stuti Jalan and her team worked out of the single desk space. Later when things began to look up, Stuti rented out an office space in the same building. "The initial days were difficult. We would share a single computer between three of us!" she laughs. "Our initial employees were all interns -- that way we didn't spend a lot on salaries. But most other expenses were impossible to curtail -- we couldn't cut corners on travel for instance. Overall though we really tried hard to keep the outgoings at the minimum, and succeeded. The company had posted a profit in the first financial year itself!" Jalan credits a lot of her success to her boarding school upbringing. Being in a boarding school inculcates a lot of discipline within you -- both at a personal level and financial level. Personally, it made me aware of the importance of time. I've always been conscious of my deadlines, rarely ever missing it. Later at Symbiosis the fact that this wouldn't be a nine-to-five job really sunk into me. There were weeks when we'd go without a day off because weekends would be the only time that the visiting faculty could spare for us. Financially, it made me street smart and very conservative about spending whatever little I had. Even during my stint at Ogilvy -- when I was drawing a little over Rs 12,000 per month as CTC -- I would make sure I'd put aside a little money every month. By the time I had started off on my own, I already had a lakh of rupees that had been saved up right from the time I was a student." Jalan recollects the time when she would stop herself from going out as often as her colleagues, rather preferring to stay back at home. "Going out for a movie or spending on a night out with the girls was somewhat rare -- maybe once a month or so. I did not want to turn to my parents because the moment I would, they'd suggest I leave my job, come back and get married." Jalan tells you that this pressure along with her 'small town aspirations' of make it big in the city kept her going. She continues, "I notice that a lot of people from small town have that proverbial fire in their belly that is sorely missing in big city kids. Perhaps its because they have everything they could ever want while the small townies like me have to struggle to get there." In 2002, a little before the Mumbai Marathon Stuti Jalan was introduced to Anuradha Prakash Yusuf. "She used to run what was then called Exert gym (later taken over by Gold's Gym). 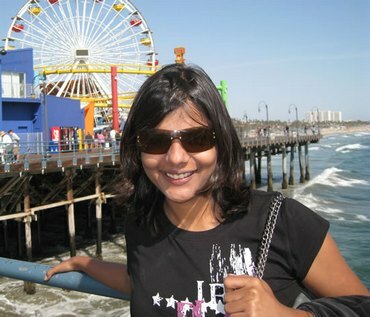 Anuradha was keen on doing something for underprivileged kids. We came up with the idea of the Hope Run and got celebrities like Milind Soman, Rahul Bose and Lucky Ali to support us. Eventually Anand Mahindra heard of us and joined in. The run was a success and the proceeds of it -- about Rs 4 lakh -- went to an NGO Anuradha had started." "It was Prahlad's suggestion that I take up this offer. Although I had been into PR for over a year, all my contacts were related to the IT industry (which was my beat in the agency). So I had to start from the scratch -- contact publications and news channels and get the word out. Things worked out very well and the event got good national coverage. Later Anuradha hired me as a consultant for her gym so the money started trickling in too." Meanwhile other clients started hearing of the young PR agency. Fosters came calling soon after as did Axe Pulse and others soon followed suit. For each, Jalan created innovative solutions that made them stand out in the crowd. Fosters was the official partner for Formula 1. We were supposed to give them a concept that could be replicated in two or three clubs from where sales and marketing team would take it forward. So we sent out pit babes with invitations to media houses, organised beer and barbeque Sunday brunches in celeb homes -- all this was a first. Axe Pulse had access to the number one track in Europe, which we gave out free of cost to DJs in pubs. A few days before the campaign we would play the music in a mall and have three dancers -- who were posing as regular shoppers -- suddenly break into a dance. When the advertisement ran on television a few days later, people could connect with what they'd heard in pubs and malls. Later when we were doing the publicity for Monaco Grand Prix we sent out invitations in the form of casino chips (since Monaco is known for its casinos)," she says. Innovations such as these, Jalan points out, are crucial for a product to leave a mark in the minds of its consumers. Later, Jalan would also work with the Government of Maharasthra lobbying with the media and NGOs convincing them about the viability of the slum rehabilitation programme. While the experience was nothing as compared to what she had done before, Jalan says the red tape left her somewhat disillusioned. After parts of her payments never came by, she decided to drop the project entirely. Meanwhile, love blossomed and Stuti Jalan would move to New Delhi. In 2005, Stuti Jalan finally made the impending move to New Delhi to live with her husband Jyoti Sureka with whom she shared a long distance marriage for a year. 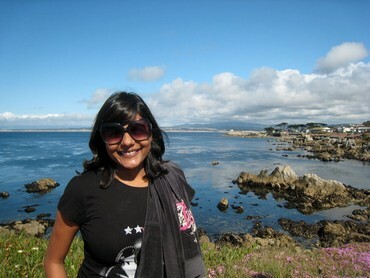 Sureka is a techie who moved to India from the US and set up operations in Delhi. The two had met during her sister's wedding. Jalan was still in college then and in the years that followed the two lost touch. She recollects, "Then on the evening of my first assignment -- the Marathon -- he was at my brother-in-law's place. He congratulated me on the coverage. Then emails and text messages followed and we'd kept in touch. We got married in Kolkata. I was still in Mumbai and he was still figuring out where to set up shop. Eventually he set up his outsourcing business in Delhi." Rather than quitting her job and selling her company, Jalan made the most of this opportunity and started operations there too. "That phase was the most difficult one," she says. "The culture in Delhi is far different than what I had been used to in Mumbai." People, she says, would casual about work. Worse still they would be even more casual about payments. "We never faced these kind of problems in Mumbai. In Delhi we had to chase them for payments. Meanwhile I was suddenly inaccessible to my Mumbai clients. So during that time from being a profit making company, our revenues dropped to a point where we were just about breaking even. 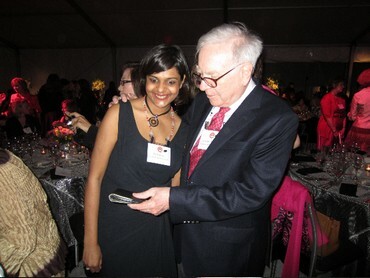 I had to invest some of my personal funds and keep the company afloat." The sticking out paid off. A little over a year later, the company found its feet in Delhi too. Then the recession came along. Jalan says, "I am often asked how I dealt with the recession. Funnily we did better during that phase simply because people spent less on advertising and more on PR. That phase really made our company stronger and helped us diversify too." Today Jalan points out that Crosshairs is one of the few PR companies of its size that also has a social media wing. "We realise this is where the future will be. So we decided to make the move sooner rather than later." Jalan's eventual plan is to widen her operations and spread her wings to Bengaluru October and Kolkata now Hyderabad and eventually 'make this a billion-rupee company'. "It's possible," she points out and tells you that she already has plans. Ask her the secrets of her success and she is quick to point out that you cannot get anywhere without the determination to succeed. "It doesn't matter if you come from a small town or a village no one's heard of, you simply must have the will to make it in life. Surround yourself with a team you can rely on. I have about 30 people in my team I know I can trust and fall back on. Always be willing to take a risk. Without taking a risk there is no way you'd know if you could've succeeded or not. Don't ever be intimidated by anything whatsoever because every problem has a solution. And finally dream -- what is life without it anyway?"